If you’re a district administrator or HR professional for any length of time you may have heard, “But that’s not in my job description.” Are job descriptions an avenue for someone to cop-out of a task that needs to be completed or an essential requirement to understand teacher and staff member responsibilities. We often hear these questions from administrators: “Why do we need job descriptions for teachers, anyway?” or “Why are job descriptions for teachers and staff members so important?” or “Why do teacher job descriptions need to be kept up to date?” The simple answer is that job descriptions in school districts distill and summarize the essential competencies needed to hire the most effective teachers, administrators, and staff members. However the form of the question, today I’ll begin to explain the foundation behind the WHAT and WHY your school district needs updated teacher job descriptions. I recently read an article on SHRM.org related to job descriptions. The heading of the article read “The basic job description is the foundation of nearly every HR function” and one of the HR professionals quoted in the article said “…the job description is the mother of all HR processes.” While these statements very much radiate their importance, I do want to take a moment to clarify the differences between a job description and a job analysis. Chett Daniel, recently posted information on teacher job analysis in June, so I’ll just hit some highlights. (Stick with me through these technical descriptions of the process. Besides, isn’t worth learning more about how to make your school district more effective)? In simple terms, a job analysis is the process of identifying the content of a job (the job tasks, work behaviors, duties and responsibilities) as well as the attributes (knowledge, skills, abilities and other characteristics or KSAOs) needed to perform the job. Each job task and KSAO identified are then rated by subject matter experts (SME’s) on factors like importance and frequency. From the job analysis process, the necessary information is gleaned for the development of your most essential human resource tools in the school district. A job analysis should be the basis for all selection instruments, performance evaluation criteria, training and development plans and yes, for developing job descriptions. I personally find it more appropriate to say “A job analysis provides the foundation for nearly every HR function” and job descriptions for teachers are (or should be) a product of that thorough job analysis. 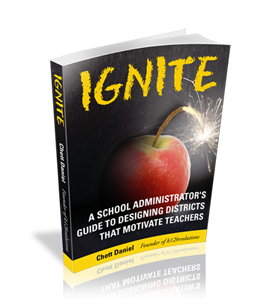 In short, if you want to have great administrators, teachers, and staff in your school district, you should start with knowing what it takes to be effective. If you have ever looked at job descriptions used at different organizations or on job boards, you’ll notice they vary in format and style. Some job descriptions detail every job duty and KSAO identified in the job analysis. Some only list a few major job duties and their related KSAOs. However the format, detailed or brief, it is important that you keep in mind their intent and what they will be used for. It’s safe to say, most job descriptions for teachers that exist in school districts are used as part of the teacher and administrator recruiting process. Job descriptions are often what are posted in the recruiting advertisement which potential applicants, both internal and external, will read in order to gain an understanding of the job. For this purpose, I believe the job description should include the most important duties and related KSAOs, typically 10-15 max, and list those items in order of importance so that candidates see the most important items first, at the top of the list. Listing 20 or more duty statements, and you start to loose people’s attention (and potentially overwhelm them) so just stick with the important competencies and tasks required for teachers, staff, and administrators in your district. Another important part of job description for teachers is a “distinguishing characteristics” statement. Many organizations often have a hierarchy of similar related jobs, often referred to as a “class series” or “job family”. Consider an Accounting job family that has Accountant and Senior Accountant jobs. On the surface, the descriptions may look very similar as many of the job duties and related KSAOs are the same. The differences in the jobs emerge when you consider factors like the level of work or degrees of complexity in work assignments, the level of autonomy involved or how the work is reviewed. Why is this important? Consider the applicant. Unless both jobs are simultaneously posted, a seasoned job applicant with 10 years of experience may not know the Accountant job is an entry level job designed for recent graduates, which may not be a good fit for him/ her. Education is changing and the traditional position of “Elementary Teacher” is not the same as it was 10 years ago. It is the responsibility of the school district to communicate the position and expectations clearly to increase the probability of hiring good teachers and reduce the unnecessary turnover of teachers and staff members who were unclear about the expectations and duties required in the position. Ultimately, if the purpose of the job description for teachers and staff members is to give applicants a clear picture of the job, and to help them determine which job may make the best use of their skills and abilities, the distinguishing characteristic statement can accomplish that in ways that simple duty statements cannot. This post focused on how job descriptions for teachers in school districts can be one of your greatest assets. If a school district has identified what makes teachers effective in their district (through a job analysis) and uses that information to develop, evaluate, recruit and hire teachers in a clearly defined way (through a job description) they are considerably more likely to have teachers, administrators, and staff members who are prepared to achieve the goals of the district. After reading this article and learning that job descriptions for school districts are more complex that a few statements about the job and you would like some help creating job descriptions for teachers and other staff members, use the contact us tab at the top of this page and let us help you create job descriptions for your school district.